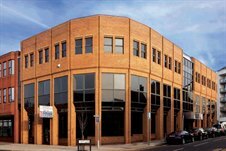 Cattaneo Commercial have just secured a letting of the 3rd floor of River Reach, 31-35 High Street, Kingston upon Thames KT1 1LF. This 2,140 sq ft floor has just been refurbished comprehensively by the landlord. Further suites ranging in size from 2,060 sq ft, 4,850 sq ft up to a total of 9,250 sq ft are now available.